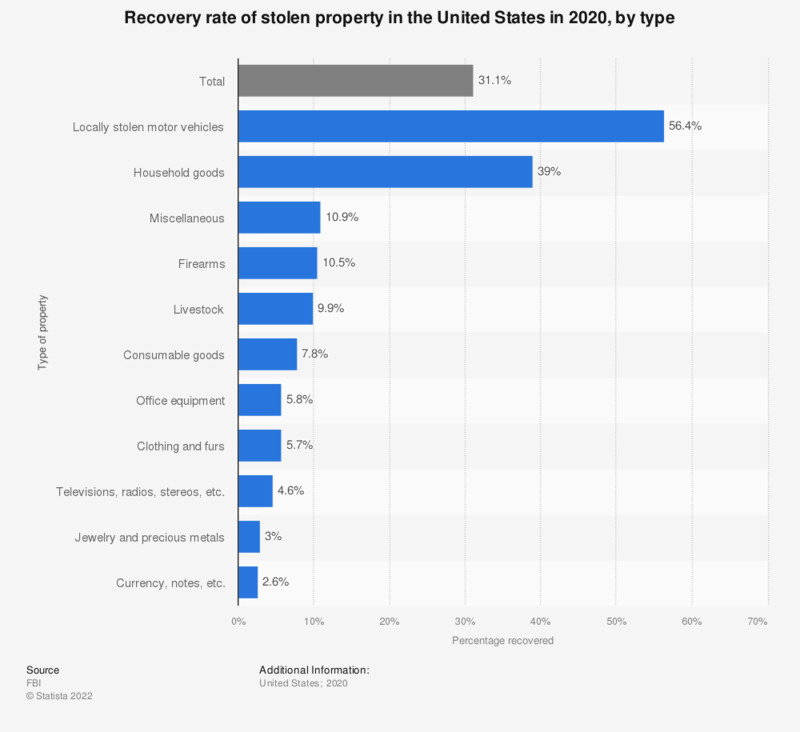 This statistic displays the recovery rate of stolen property in the United States in 2017, by type. In 2017, about 59.1 percent of locally stolen motor vehicles could be recovered. 773,139 cases of motor vehicle theft were recorded in the United States in total in 2017.